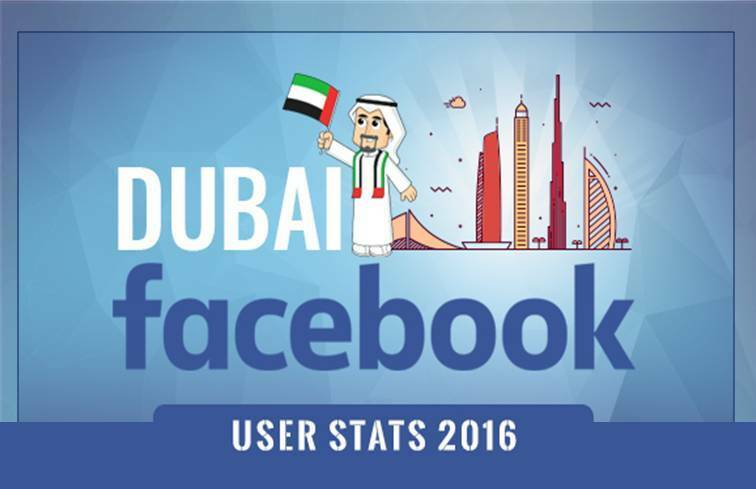 Let us give you a detailed insight into the Facebook user stats for 2016 in Dubai. In our earlier post, we had provided data for Facebook usage in the UAE as a whole. Not surprisingly, the social giant is the social media of choice for approximately 7.5 million users in UAE. And the city of Dubai directly contributes to 54.67% of the UAE Facebook Users. That makes a whopping 4.1 million Facebook Users from Dubai. These are encouraging numbers in a country where 95% of the population actively uses the internet. The UAE is one of the fastest growing economies in the world, and their rate of progress is reflected in the way the country has embraced modern technology and communication platforms. We dug deeper into the data and discovered that a whopping 4.1 million Facebook users were from the Emirate of Dubai, which is more than the users from other Emirates combined. Dubai is a global hub for business, tourism and trade, and employs cutting-edge technology and infrastructure, allowing its citizens to be more active online than their counterparts in the rest of the Emirates. Our research on Facebook use in the UAE indicated that over 54% of male users and 50% of female users live in Dubai. Male Facebook users account for approximately three million of the Dubai user base while female users accounted for roughly one million. The biggest user chunk falls in the age group of 18-49, mirroring global trends. However, there is a distinct gender bias across categories – women make up less than half of the users in every age group. These figures are just a guide, not a certainty. The UAE is a volatile market caught in the cross-currents of changing international trends, due its geographical location mid-way between Europe and Asia. In a few years time, Facebook could find itself battling with other networks in the competition for users’ mind space. If you are a person or a business looking to harness the power of the ever-changing world of social media, we at Global Media Insight can help you out. With over a decade of experience in the digital realm, creating robust and efficient social media strategies is our forte. Get in touch today.